Springing forth from the Hepburn Academy in Yokohama during the Bakumatsu era(the final years of the Tokugawa shogunate), Meiji Gakuin University was established through the merges of private schools and educational institutions around Yokohama and the Tsukiji Settlement. 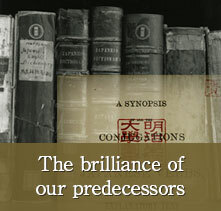 As a result, Meiji Gakuin University Library boasts a vast array of contemporary Western books as well as rare works collected through academic research. These works, spanning every genre, are now being made available to the public. 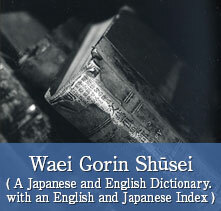 A highly regarded Japanese language dictionary in the Bakumatsu and Meiji eras and Japan's first Japanese-English dictionary, this lexicon proved to be an essential aid during the time when Japanese interest in the study of English was at its peak. Published using the Hepburn romanization system, it was an indispensable tool for studying the Japanese language until the middle of the Meiji era (there had previously been no Japanese language dictionaries). Many of its entries are still used today in dictionaries such as Shogakukan's Nihon Kokugo Daijiten and Shinchō Gendai Kokugo Jiten. 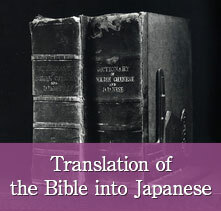 A complete translation of the Bible into Japanese came to fruition largely due to the efforts of the founders of Meiji Gakuin University. J.C. Hepburn was involved with the translation of the New Testament under the direction of S.R. Brown, while Hepburn himself directed the translation of the Old Testament. This Japanese language Bible and others connected to it are now digitized. Guided by the "power of English Studies" and the "spirit of Christianity," the founders and pioneers of Meiji Gakuin University went on to achieve many great things. 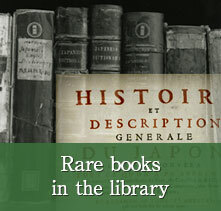 The rare books housed in Meiji Gakuin Library were gathered through the academic research that has been conducted here at the university. Some of these works are now being made available to the public. Copyright© Meiji Gakuin University, All rights reserved.